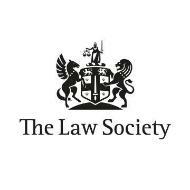 The Law Society does not provide legal advice for members of the public. They can provide information to help you find the right lawyer to help with legal issues such as relationship breakdown, help with a will, moving house or medical misconduct or injury. To look for a solicitor you can use their Find a Solicitor website. The Law Society website also has plain English guides to common legal issues such as buying or renting a home, making a will, getting a divorce or employment issues.